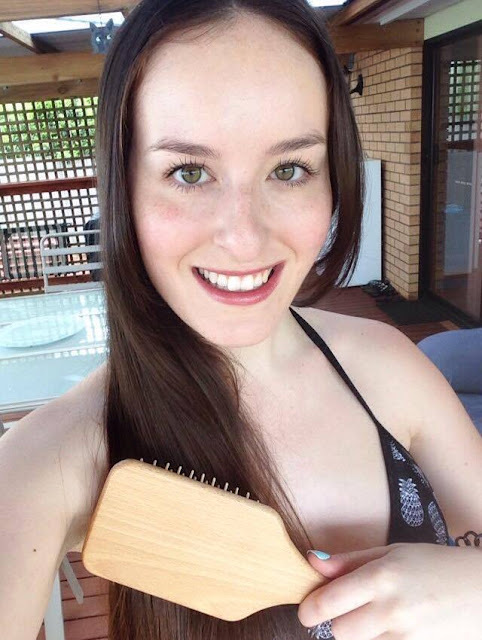 Bodecare is an Australian company that offers the largest range of pure plant bristle dry body brushes, and other wellness products. Bodecare's reputation for traditionally crafted workmanship and outstanding quality has lead to its popularity in 5 star Day Spa’s In Australia and throughout the World. Perform on dry skin only. This will provide the best stimulation and exfoliation. When plant bristles are wet, they go soft and clump together so you won’t get the results you are after. Generally stroke upward in one motion. Except for fingers and toes, you can brush back-and-forth between them. On the face use upside-down U-shape brush strokes, pressure on the upward stroke and lightly on the way down. Watch Bodecare's video on how to body brush! Work from left to right side of body. 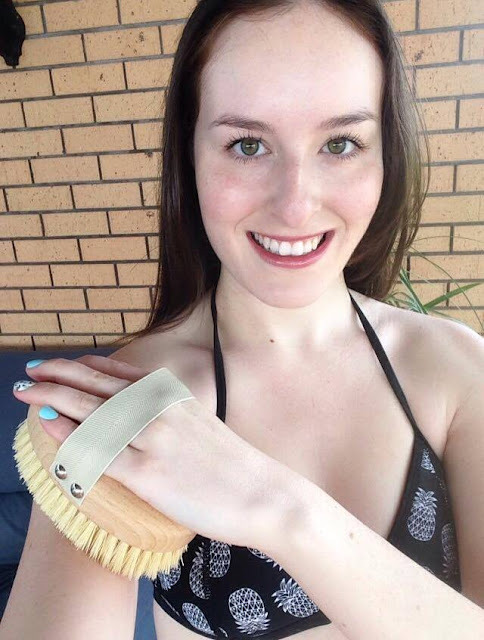 Dry brushing is done in the morning to awaken the body and get the circulation stimulated. I received the Deluxe FSC Dry Body Brush and the Wide Paddle Scalp Massage Hair Brush to test out and review. This dry body brush is non-toxic and has not been sprayed with chemicals. It features a hand strap which allows for easy handling, and the base is made from FSC certified timber. The bristles are made from the agave plant, instead of boar bristle, so they are vegan friendly! The bristles are firm but will not scratch the skin. I find that since using this body brush regularly my skin has a beautiful glow to it and it is so soft and smooth! My cellulite seems to be reduced and my skin seems to be less dry. I find the best time to use this brush is in the morning as it is so invigorating and helps me start the day! 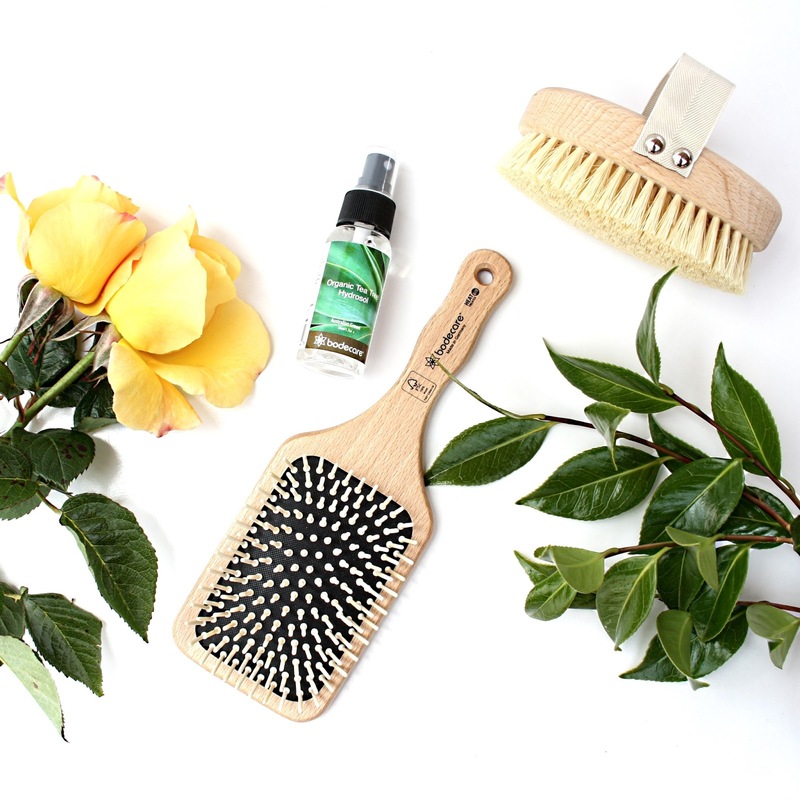 This brush stimulates blood circulation to the scalp to bring nourishment to the skin , and exfoliates to prevent dandruff and itchy scalp naturally. This FSC certified timber hair brush has wood pins and rounded tips on the end of each bristle. The brush has a rubber cushioned base which gently springs back and forth while tapping the scalp. It gently and uniformly contacts the scalp so as to moderately stimulate the head without any risk of the scalp being damaged. If you suffer from dull hair, flaking skin, greasy scalp or hair loss you need to try exfoliating your scalp as you do with the rest of your body. 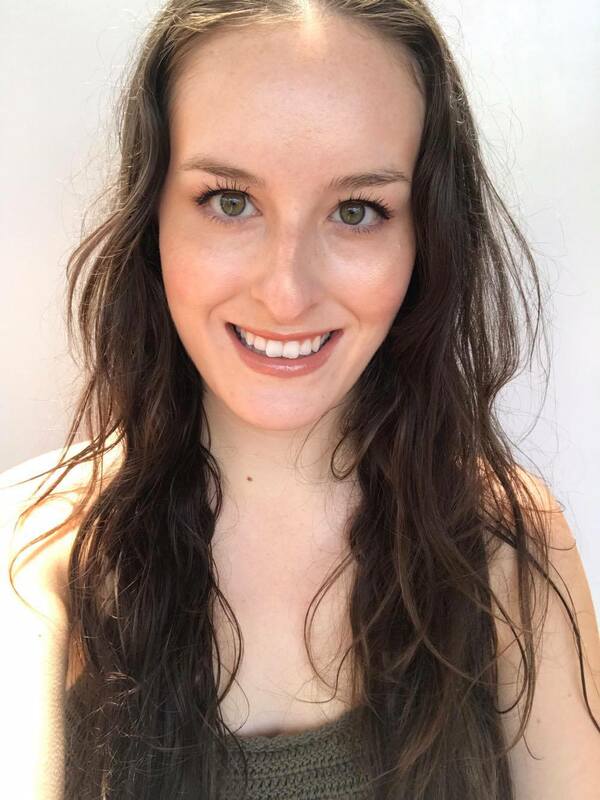 As someone that has suffered with dandruff and an itchy scalp for years, I never once thought about trying out a scalp massage brush. I mean, it makes sense though right?! Most of the commercial anti-dandruff shampoos work by exfoliating your scalp, which is something this brush does naturally. I love using this brush as it feels so nice on my scalp, and I have noticed a reduction in dandruff! My hair does seem to be shinier using this as well. 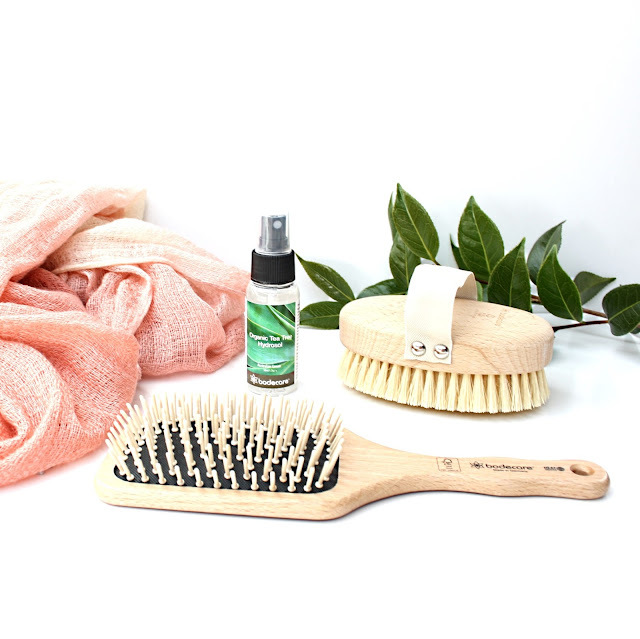 Bodecare also offer a Organic Tea Tree Hydrosol which is essential for disinfecting your brush after each use. Tea Tree is a powerful bactericide, killing a broad spectrum of bacteria and some stubborn fungi. If you do not clean your brush and allow your body brush to dry completely, you are more than likely spreading bacteria back on your skin when dry body brushing. Bodecare produces the highest quality brushes I have seen and I am loving the results I am experiencing. If you are interested in trying Bodecare brushes out (who wouldn't be?! ), head to their website.